Se mi conoscete un tantino, saprete che lo shopping online è una delle attività che preferisco in assoluto, perché è ultrarapido e si ha la possibilità di acquistare prodotti, che magari sono difficili da trovare nella propria città. In particolare oggi voglio parlarvi del sito ShopAlike, che non è un semplice shop ma assomiglia più ad un vero e proprio centro commerciale virtuale! Qui infatti potrete trovare migliaia di prodotti di ogni tipo, circa 14.000 marchi molto noti ed una centinaia di negozi; insomma ogni vostro capriccio potrà essere esaudito! E parlando di questi, è stato proprio visitando questo sito che mi sono imbattuta nella mia borsa dei sogni del momento... la Fendi Chameleon Bowling bag, che potrete trovare tra i tanti altri prodotti, nell'apposita categoria. Voi avete già avuto modo di provare questo shop e che ve ne pare di questo gioiellino di borsa? If you know me a little, you will know that shopping online is one of my favorite activities ever, because it is extremely fast and you have the opportunity to buy products that might be difficult to find in own city. In particular, today I want to talk about ShopAlike site, which is not just a shop but it looks more like a true virtual mall! Here, infact, you will find thousands of products of all kinds, some 14,000 well-known brands and an hundred shops, in short, your every whim will be fulfilled! And speaking of these, it was just visiting this site I came across in my bag of dreams of the moment ... The Chameleon Bowling bag by Fendi, which you can find among many other products, in the category. You have already had occasion to try this shop and what do you think of this little gem bag? LOVE that Fendi bag. I'm checking out that site right now! Thanks for posting about it! Beautiful bags, it's very hard to choose a favourite. Great bag. Thanks for the tip. the best thing of reading your post is learning new online shop.. this shopalike is great!!! Ciao, volevo proporti un'interessante collaborazione, decisamente fuori dall'ordinario. Conosci Faruk? Sito interessante, non lo conoscevo! This should be a bag for me, right? :D Love its shape!!!! Como me gusta ese bolso. Que bolsos más estilosos y más bonitos. ¡Me encantan! Awesome bags! I like the black one :) Really classy! 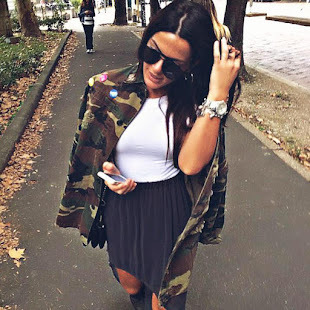 Ciao sono passatata a commentare per farti i complimenti sul tuo blog! ADORO!!! love that bags dear!super cute!! Love all these bags and thanks for sharing. Stunning!!! Gorgeous and timeless handbags. ..OMG ! Those bags are so fabulous ! 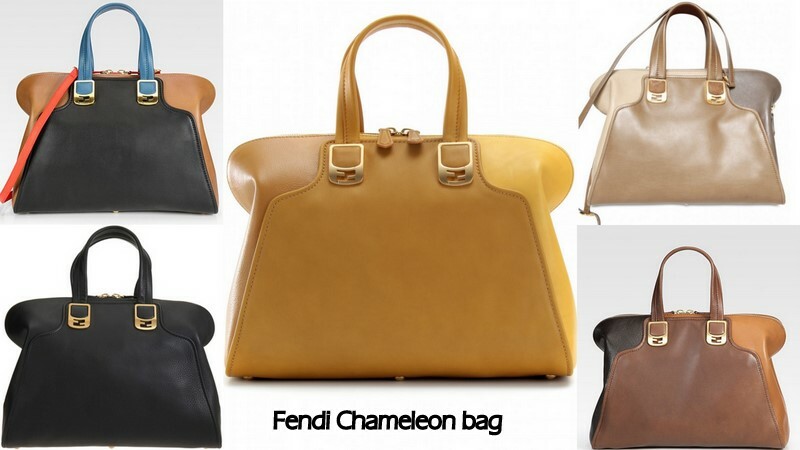 We have Fendi Chameleon bags in numerous colors. Please check our site. We offer great customer service and the best online bags at lowest guaranteed prices. the bags are amazing fabi!!! I love those bags, so chic! Miss Tangerine - check it out! That bag is calling my name right now. interesting post. Now you can use these business wholesalers to promote fashion bags import & export business.